My favorite candy is jelly beans. The red ones whether cinnamon or cherry are what I love the most. I can remember my aunts and uncles buying me Jelly Belly jelly beans every year on Easter. More recently my mom has been buying them as a yearly birthday present. This year, I stocked up when Target clearanced out the leftovers after the Easter holiday. I probably would have done this anyway, but I knew we had a very special birthday celebration planned for super fun and hilarious guy! 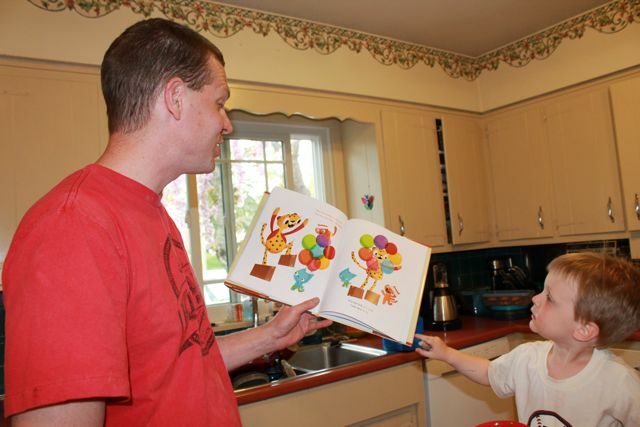 Bob Shea's second book, Big Plans, was a book he planned on illustrating himself but chose not to when Lane Smith showed interest in the project. "When he said he was interested I said yes as soon as I regained consciousness." (Literary Friendships). Big Plans is about a young boy who has big plans and will stop for nothing to let everyone know, including the President of the United States. It is one of my favorite picture books because you can't help but get loud when you read it. Plus, I really like the boy's trusty side kick, Mynah Bird. Last September on our visit to the National Book Festival in Washington D.C. we were able to have Bob Shea sign our copy of Big Plans and we were able to see him present at the Storytelling Stage. His presentation included reading Dinosaur vs. Santa and illustrating a bunch of animals including the chick from New Socks. I loved that he started all the animal illustrations with a "jelly bean" shape! 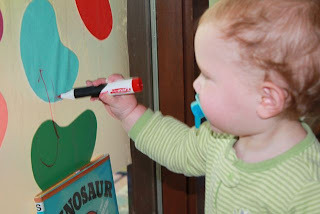 As we watched him, I was thinking, "My kids would love to try this! We could even eat jelly beans while we do it." The only problem was that we had to wait almost 8 months until his birthday came around! 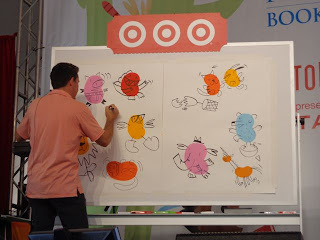 In this video from the National Book Festival 2011, Bob did a similar demonstration with his jelly bean illustrations. 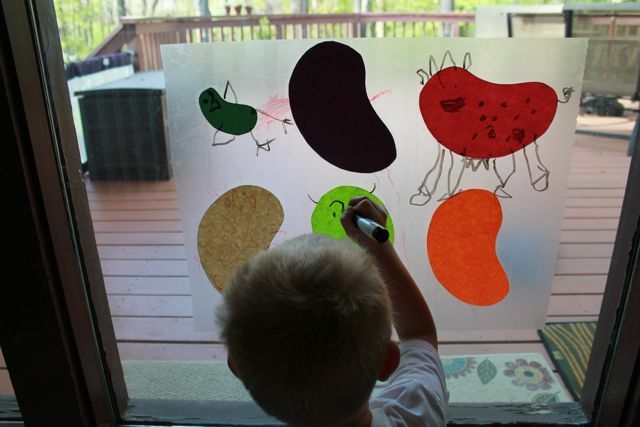 He starts illustrating the jelly bean dance party at about 8:20 in the video. 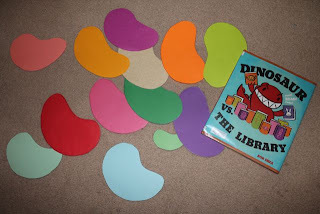 I was the jelly bean fairy working late into the night to prepare this birthday celebration activity while my children slept. 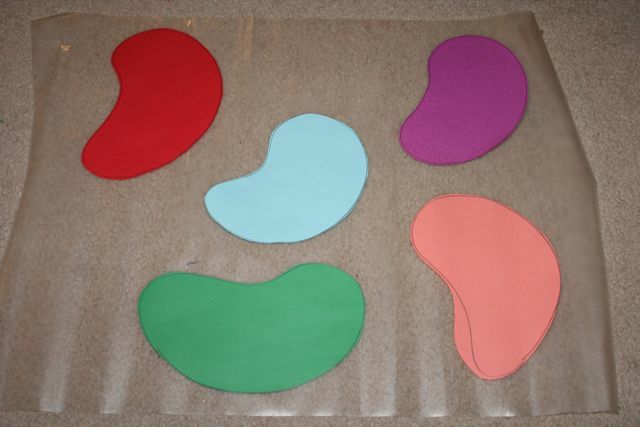 I drew jelly bean shapes on many different colored sheets of paper. I made them as big as I could on the sheet and then cut them out. I wanted my kids to be able draw just like Bob Shea but I didn't have a white board big enough. However, I did have clear contact paper. (This idea was sparked by Vicki at Mess for Less. 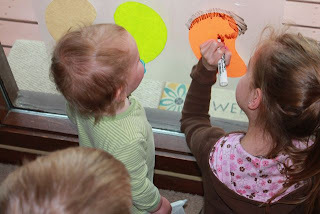 Check out her blog post 20 Ways to Use Contact Paper with Kids.) I placed the jelly bean papers directly on the contact paper and then carefully applied it to our windows. 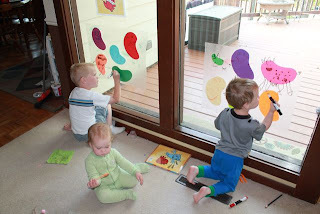 While I was drawing and cutting out jelly beans, I had a couple of ideas for other jelly bean related activities. The first idea was to make a "Seek-and-Find-Dinosaur" game. I printed a tiny image of Dinosaur. (I found an image easily doing a Google Search.) The size of the Dinosaur image was slightly smaller than the jelly beans. Then, I glued the tiny Dinosaur to a piece of cardboard to make it more sturdy. 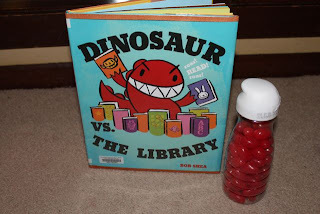 Then, I placed the tiny cardboard Dinosaur and a bunch of red jellybeans in a clear bottle. The object of this game is to shake and shimmy the jelly beans around inside the bottle until Dinosaur is revealed. Good Morning! Happy Bob Shea Day! 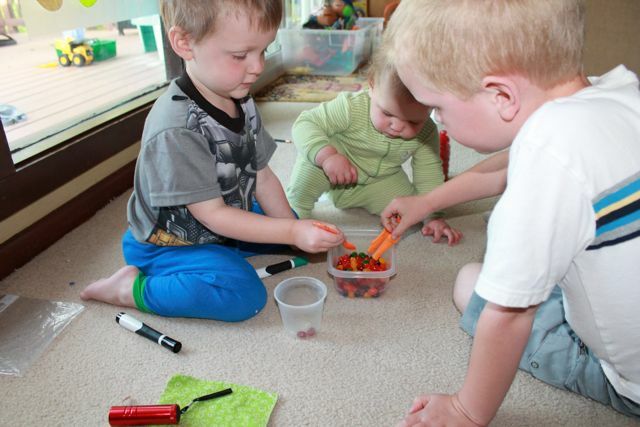 Big sister showed little sister how to make a jelly bean into a lion! My youngest son made a happy purple monster. I think she's got it! 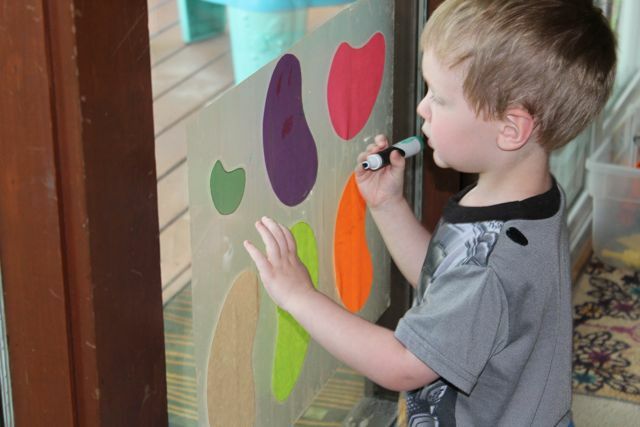 My oldest son really liked the activity too. 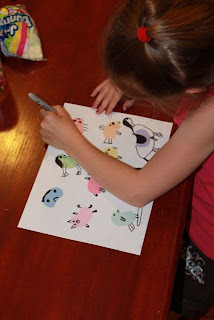 He drew many animals including a pink cow! 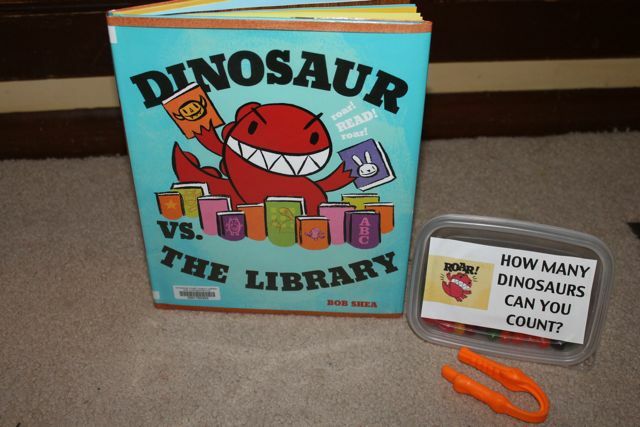 They transferred the red Dinosaurs into a plastic cup as they counted. 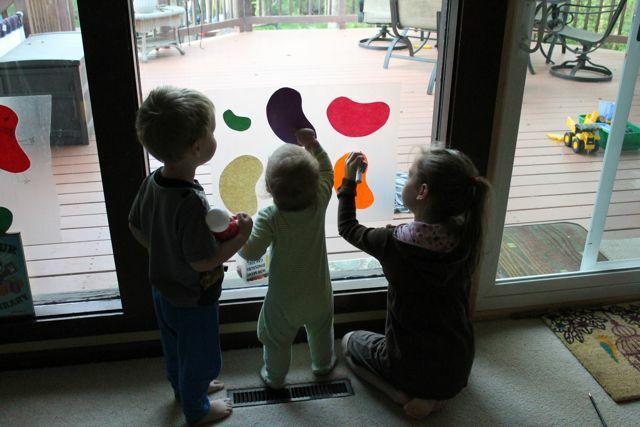 I think the jellybeans will be staying on the windows for a while! 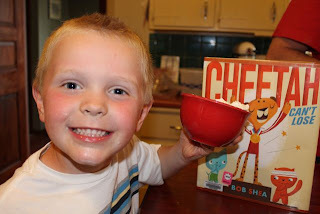 Our birthday celebration for Bob Shea was already so much fun, but his latest book Cheetah Can't Lose gave us one more idea that we had to do before the day was through. In Cheetah Can't Lose, it is Big Race Day and Cheetah plans on winning all the races against his two little cat buddies. The cats know their friend Cheetah really well and expect him to win each race. They planned special prizes for him after he wins. When it is time for the last race, Cheetah is wearing all his prizes including giant winner shoes, a crown too big for his head, and is carrying a bouquet of balloons. The cats snicker right before its time for Cheetah to begin the last BIG race! The cats sure have fun with Cheetah, but in the end everyone is victorious! Our favorite part of the book is when Cheetah wins the pie-eating race. The cats give him the prize of a "ICE CREAM SUNDAE OF TRIUMPH!" After the five pies during the race and then the enormous sundae Cheetah isn't looking too good for the next race! 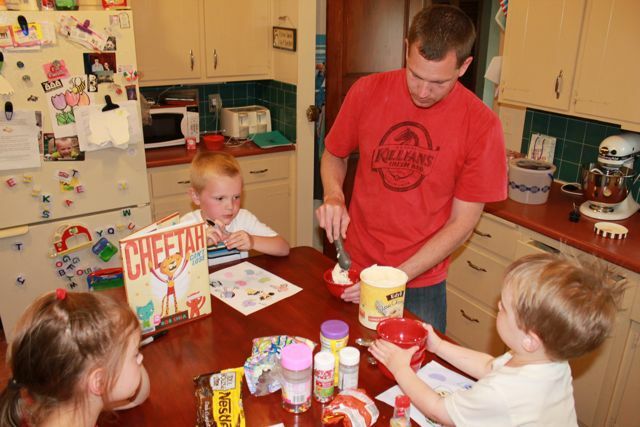 We thought making our own Ice Cream Sundaes of Triumph would be a great way to finish up the day. 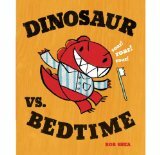 In Cheetah Can't Lose, Bob Shea departs from his jelly bean illustration style that is found in Dinosaur Vs., Oh, Daddy, and New Socks. 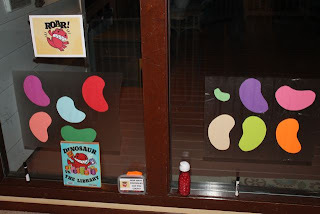 But, I couldn't resist another jelly bean activity while I got everything organized for the sundaes. I gave them a paper with a bunch of jellybeans on it and a black marker to make more animals! 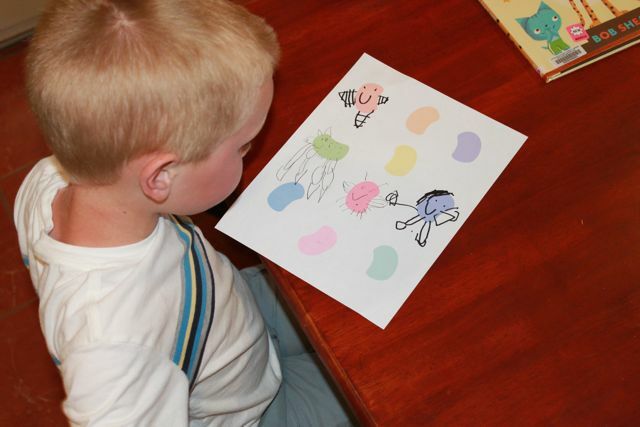 Click here to download your own jelly bean printable! We read Cheetah Can't Lose one more time! 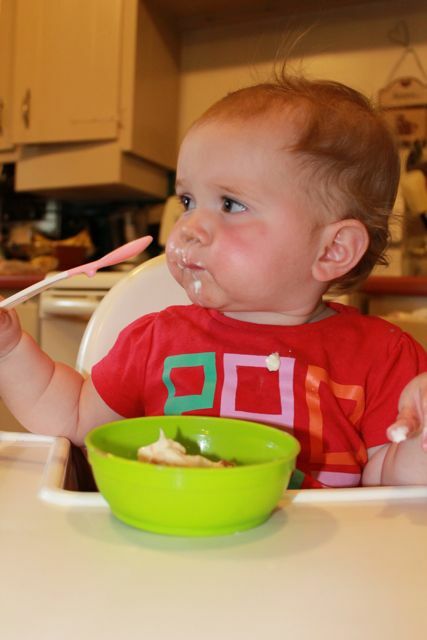 Then, we dished out the ice cream. They topped their ice cream with chocolate chips, sprinkles, marshmallows, whipped cream, and chocolate syrup! The sundaes really were triumphant! Happy Birthday Bob Shea! Thank you for making such cool books! 11. Race to Bed as seen on Nick Jr.